← Timothy Hallinan’s New Crime Novel is a WINNER! Phillip Margolin is the author of FIFTEEN New York Times thrillers. His latest, Supreme Justice, like all the others, draws on his 25 years as a defense attorney, during which he handled 30 homicide cases. 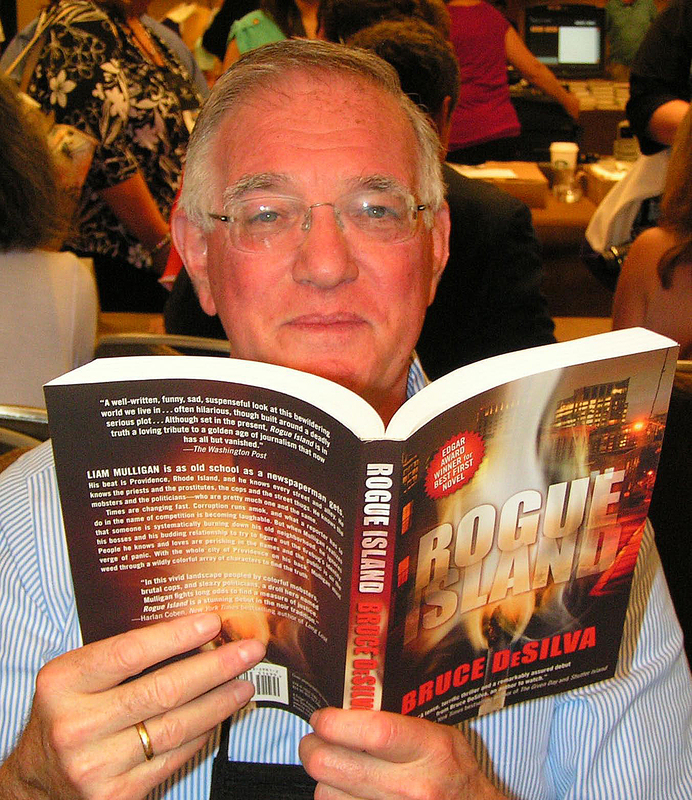 I met him in July at the Thrillerfest conference in Manhattan. Rogue Island is the winner of the Mystery Writers of America’s Edgar Allen Poe Award for best first novel and has been shortlisted for the Shamus, Macavity, Barry and Anthony Awards. The hardcover is now is short supply but you can order the trade paperback or Kindle edition here. It is also available as downloadable audio book from Audible that can be downloaded here. This entry was posted in Uncategorized and tagged Anthony Award, barry award, Bruce DeSilva, edgar award, hardboiled, Macavity Award, mysteries, New York Timies Bestsellers, noir, Phillip Margolin, Rogue Island, Shamus Award, Supreme Justince, thrillers. Bookmark the permalink.